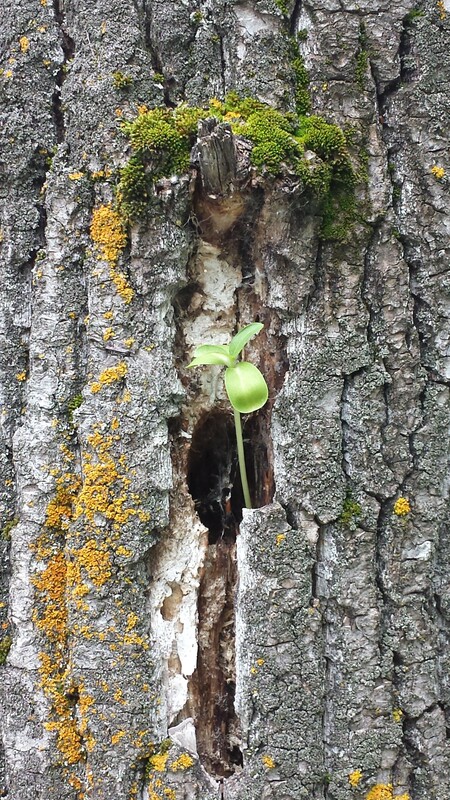 A close up of some magic happening in an old tree stump in our front yard …. Here’s the tree in all its beauty … I love all the growing things it supports …. moss, fungi, mushrooms, and even a sunflower seedling … ! ….